Hands-only resuscitation has proven critical for improving recovery chances for people in cardiac arrest. Tualatin Valley Fire & Rescue firefighters, Tigard Police, Valley Catholic Middle School students and Legacy Health will join forces on Saturday, Feb. 3, to offer hands-only cardiopulmonary resuscitation training from noon to 3 p.m. in the event space below the food court in Washington Square Mall. 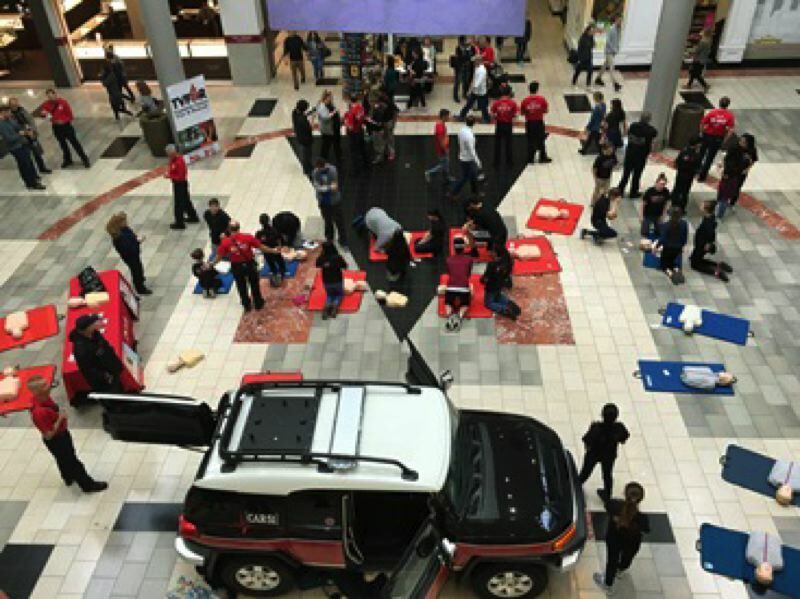 Students, nurses, police officers and firefighters will demonstrate how easy it is to perform hands-only CPR by allowing guests to practice the skill on mannequins. Valley Catholic Middle School and Legacy Meridian Park's Middle School Healthy Hearts Program have been leaders in teaching thousands of others hands-only CPR. Law enforcement agencies also have partnered with TVF&R to increase cardiac arrest survivability. Many officers and deputies throughout Washington County are trained to respond to cardiac arrest calls. All Tigard patrol vehicles now carry an automated external defibrillator (AED) and respond to cardiac arrest calls. "At Washington Square, our team members are trained and certified in CPR and AEDs every year," said Rebecca Lesley, senior marketing manager at Washington Square. "We have seen this training result in lives saved at the mall. We support efforts to teach this lifesaving skill to our guests and retailers and expand the network of community members who are trained to respond to a cardiac emergency." According to the American Heart Association, more than 326,000 people experience cardiac arrest each year before getting to a hospital and about 90 percent do not survive. Because a patient's chance of survival decreases by 10 percent for each minute without CPR from the time of cardiac arrest, bystander intervention is crucial.